The age of the scrambler is in full swing thanks to the ever growing and evolving custom scene. 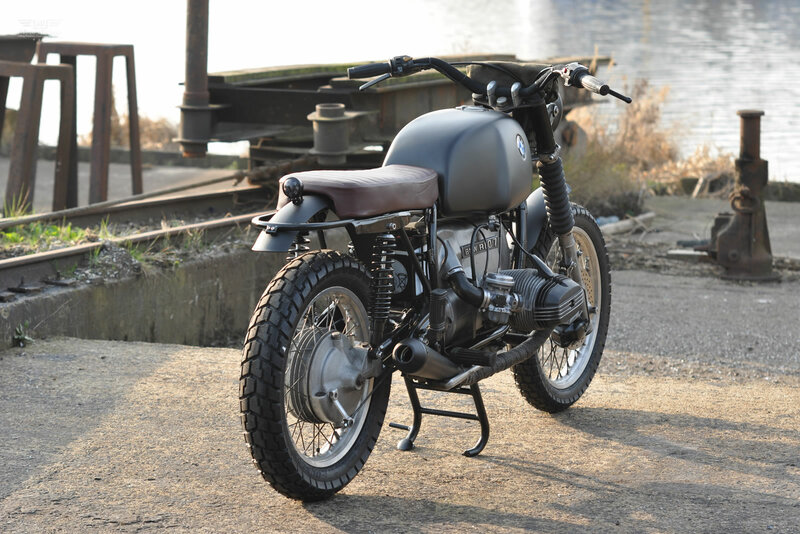 Today’s feature bike “The Bomber” a BMW R80/7 scrambler built by Lex and Richard of Left Hand Cycles is an excellent example of the popularity of a custom scrambler. Scramblers are the perfect machine to unleash your inner beast. They are a lightweight motorcycle equipped with rugged tires and suspension, designed for riding and racing across rough terrain. It all started when Frank contacted Left Hand Cyles asking if they could build a classy scrambler with a wild touch. 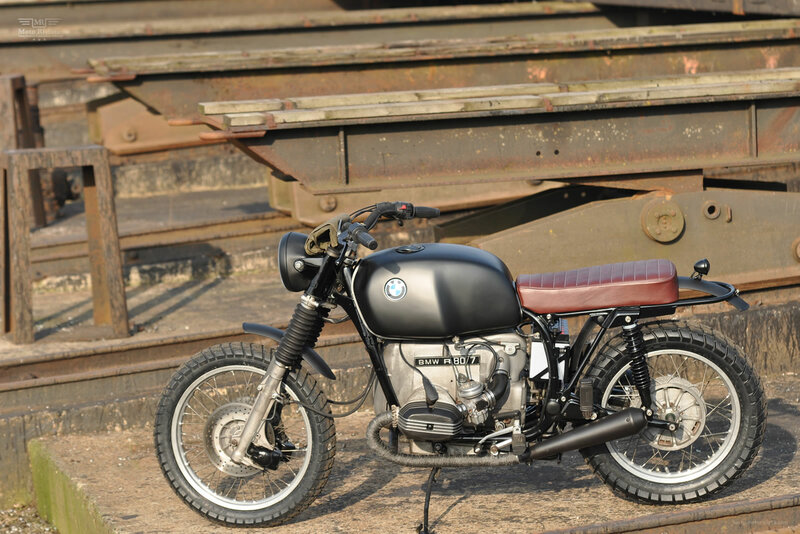 Frank’s preference was a BMW and after searching for awhile LHC found a 1978 BMW R80/7 in good condition. It was a bit of a challenge for the guys knowing there is pool of good custom Beemers out there. Frank had a few wishes but he gave LHC “carte blanche’ to start the project. Luckily the engine was in good condition, though the clutch plates were replaced. 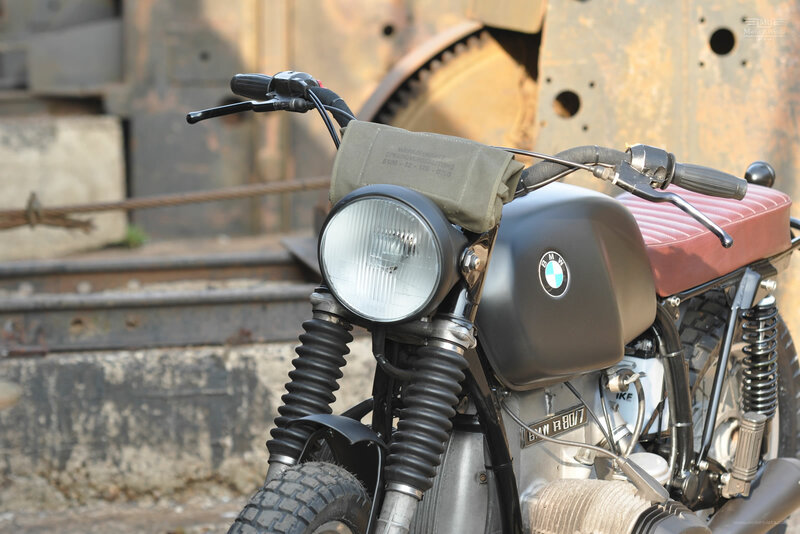 The frame of the BMW R80/7 was powder-coated and the tank and the fenders were painted Matt black to create a used look. 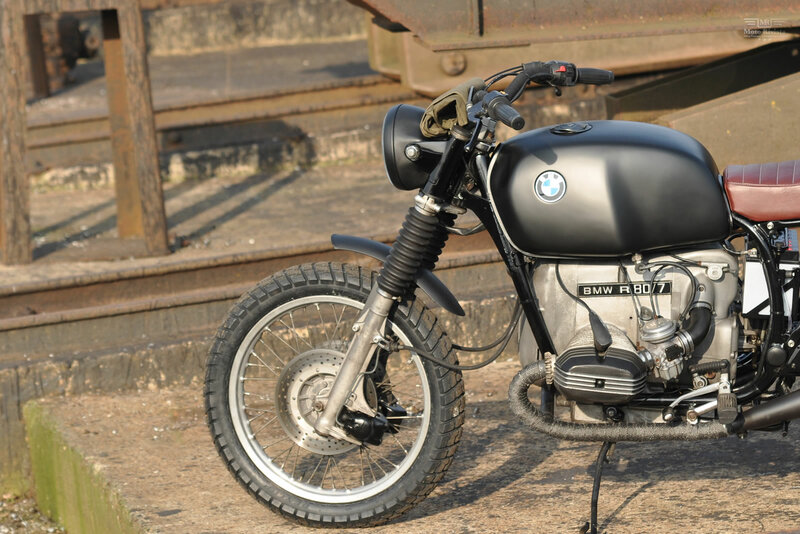 It was decided to keep the original wheels of the BMW R80/7, wrapped in pair of Dunlop Trailmax tires, giving it better grip and of course the good looks! One of the core ingredients of a fine scrambler is a decent wide handlebar and LHC choose a BSA (USA) Beston and wrapped it with black tape. 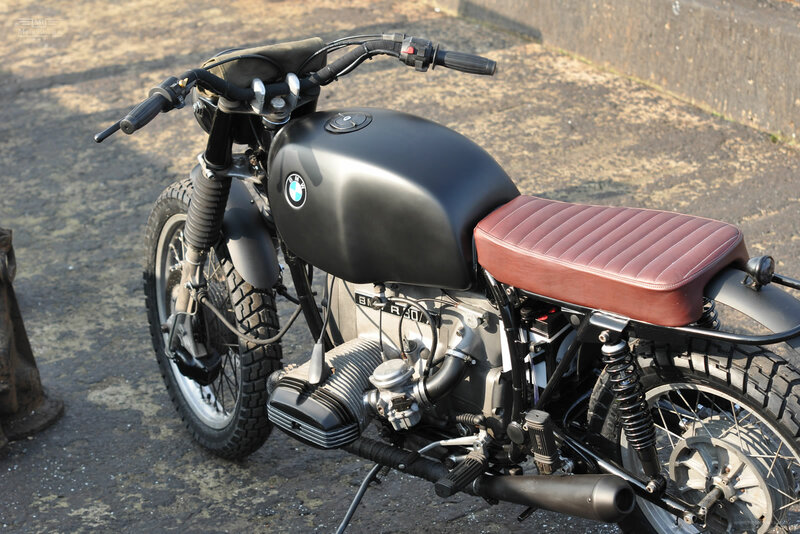 To create good harmony with this Beemer LHC made a seat in a red wine color scheme, which looks absolutely perfect! Last but not least the megaton mufflers give the bike a brutal sound. 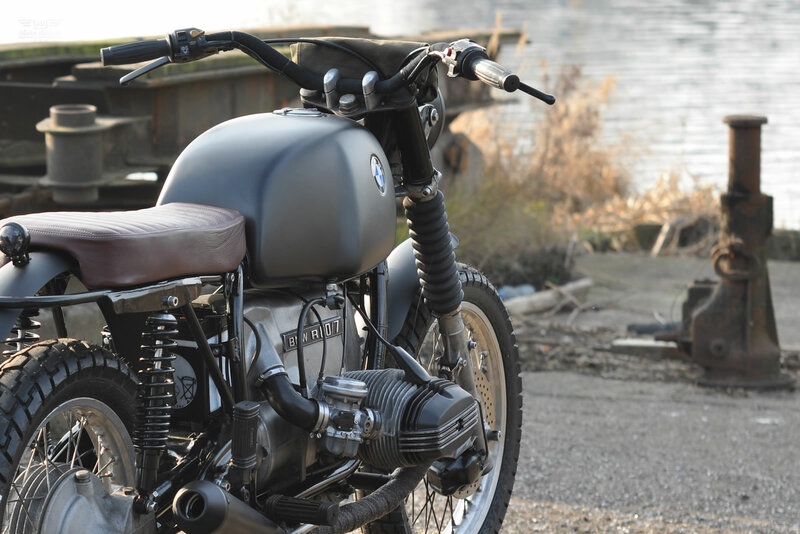 The finished BMW R80/7 custom defines the true principle of building a classy scrambler, drop the unnecessary from the motorcycle and add the essential!